I don’t think I’ve ever been this productive. But It’s easy to be able to squeeze in practice time when you don’t have to set up a bazillion things to be able to paint, in my limited workspace. I’ve wanted to try this thing where I don’t outline. I mean, I like my lines, but they’ve become a bit of a crutch, tbh. I still haven’t quite figured out a way to make a piece look finished without them. Photoshop watercolour brushes are trippy because they kinda look like watercolour BUT BEHAVE NOTHING LIKE IT. If this looks like three different paintings in one, that’s probably because it sorta is. I used a soft pencil brush for the lines, dry brushes for the flats, then watercolour brushes for shading, and now my trad-wired brain doesn’t know how to parse this information haha! My labyrinthitis-induced vertigo finally subsided enough for me to get back to painting. Just in time too, exhibit ingress is just around the corner and I may or may not be in a constant state of panic. I’m tired, and stressed, and all my insecurities are out to play, but I also never feel as good about myself as when I’m painting. The working noises in my brain hush the other noises that usually never shut up. I thought I was finished with this piece, but something still feels off so I’ll probably be working on it some more tomorrow after work. One more (mostly) done, and one last piece to go! I was re-watching a lot of L’Arc~en~Ciel concerts and music videos from the 90’s while working on this painting, so it seemed fitting to name it after one of my favourite L’Arc songs from that era. 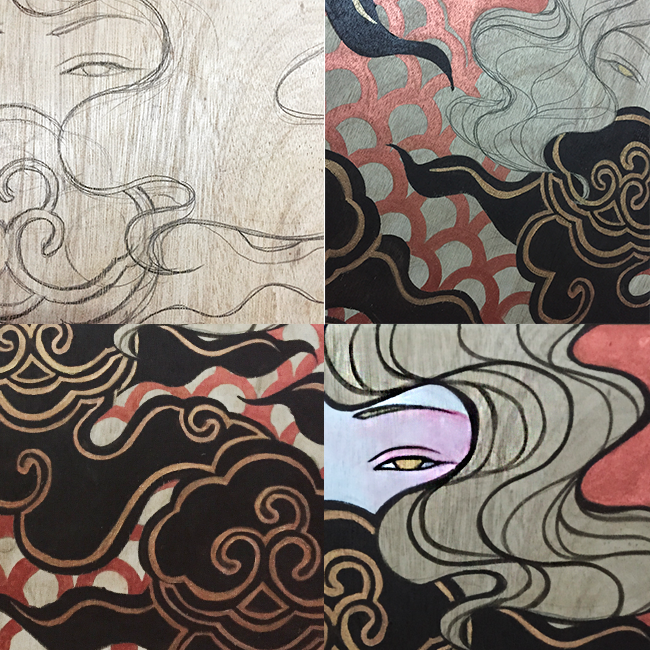 I was originally going to entitle it, “The Fisherman’s Wife” as a nod to Hokusai’s “The Dream of the Fisherman’s Wife“, but since this was for a pet-themed exhibit, it seemed in bad taste. HAHAHAHA. Anyway, this painting will be part of Pet Project, a fundraiser for CARA (Compassion and Responsibilty for Animals) Welfare Philippines. The event will be held at Whitespace (Pasong Tamo Extension, Makati) on November 17, 2012. 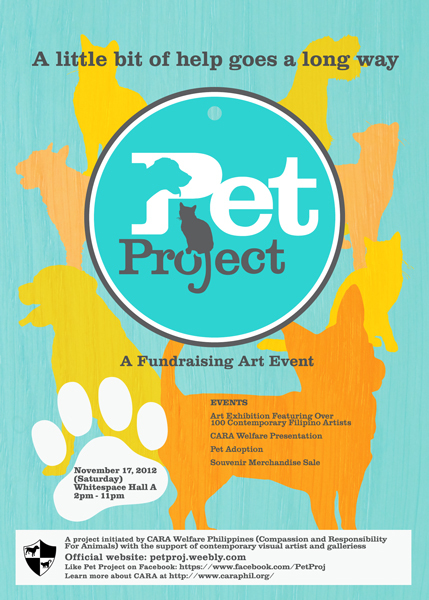 More information about the paintings for sale and the event itself on the Pet Project website or the Facebook Event Page. Some of my work is now available as art prints on AVA.ph! Click on image to go to the shop! I’d love it if you could check it out. I’d love it even more if you bought a print! HAHAHAHAHAHA! 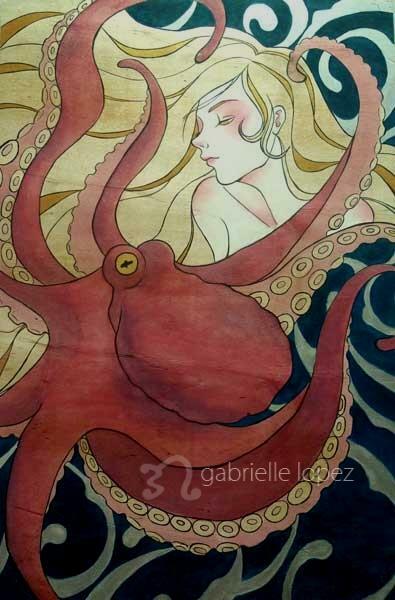 Posted byGab 17.Aug.2012 Posted inArtdump, Oh How I Ramble OnTags: art, ava.ph, prints1 Comment on Prints at AVA.ph! Her Face Was Lost In The Canopy, 2012, Acrylic & Varnish on Wood. Preserved On A Peacock’s Tail, 2012, Acrylic & Varnish on Wood. Greater Than That Of Athena, 2012, Acrylic & Varnish on Wood. The Loveliest Of All Immortals, 2012, Acrylic & Varnish on Wood. 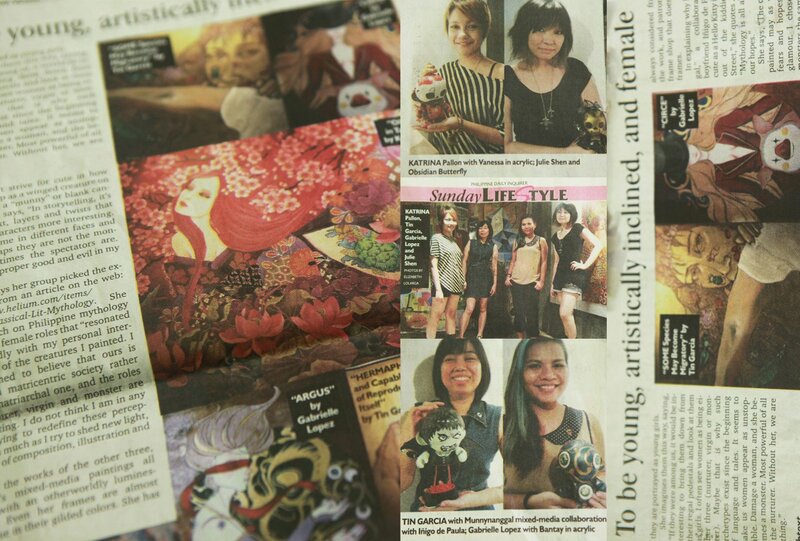 And as icing on the cake, our exhibit was featured in the Philippine Daily Inquirer two weeks ago! You can read the whole article (sans most of the photos) here!